This week, I was given a unique opportunity that I haven’t had in the 27 weeks of our “Challah-it-Forward” project thus far: baking matzah! Where, you may ask? Certainly not in my home kitchen. 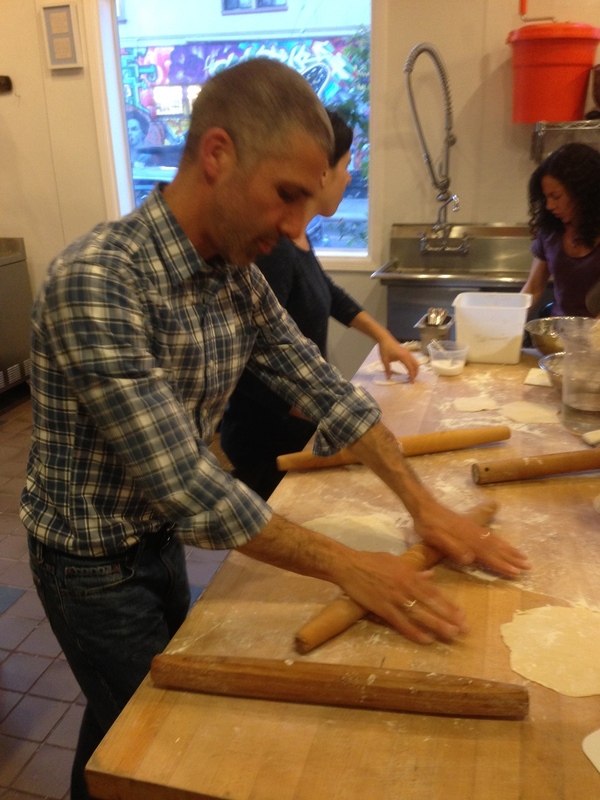 Or Shalom Community, San Francisco’s Reconstructionist Congregation, sponsored this Matzah Baking Workshop at Mission Pie, where synagogue members Krystin Rubin & Karen Heisler spin their pie-baking magic. Rabbi Katie Mizrahi started things off by reading a short comedic piece written by Michael Strassfeld, in which he writes a letter to the star of the holiday, wonderring why THE symbol of freedom, of liberty, has to be, well, such a square, and taste so, uninspiring?! Then, the very serious work of matzah-baking began. While the ingredients are definitely simpler than your traditional challah (you basically only need flour and water for matzah! ), the process is much more complex, and requires expert timing. Krystin Rubin, of Mission Pie, showing us how it's done. 1. 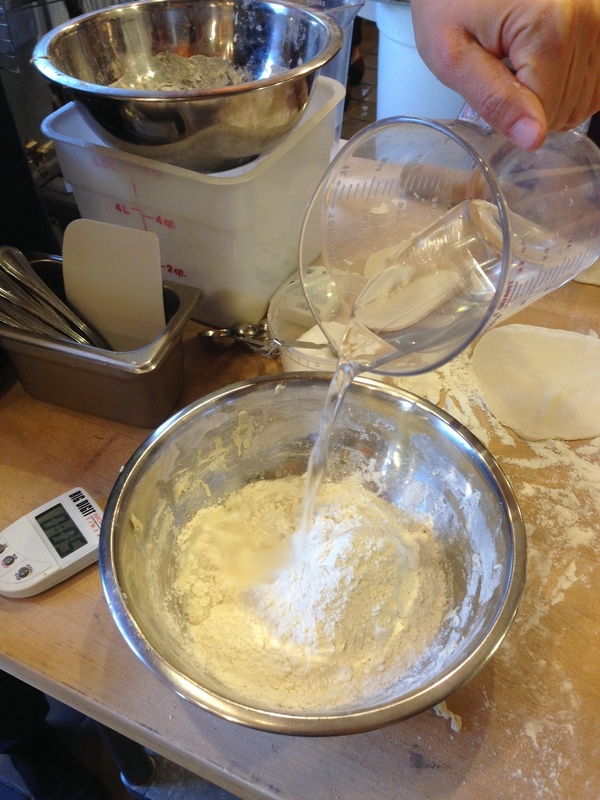 Protect the ingredients from moisture and heat prior to mixing. 2. Prepare the dough very rapidly. 3. Bake at extremely high temperatures. As you can see, matzah-making really does require a community of people working together, in relationship, as a cohesive, respectful group. It ultimately reminds me of how the Israelite community must have needed this same community spirit, reliance, and resilience as they embarked on their harrowing journey towards freedom. While challah-baking does not need to be done in community in the same way, I’ve found that there is beauty in the sharing of this age-old ritual, beauty in the rhythm of the mixing together, kneading togeher, braiding together, and waiting together, with noses pressed against the oven window, witnessing the rising of fresh loaves.